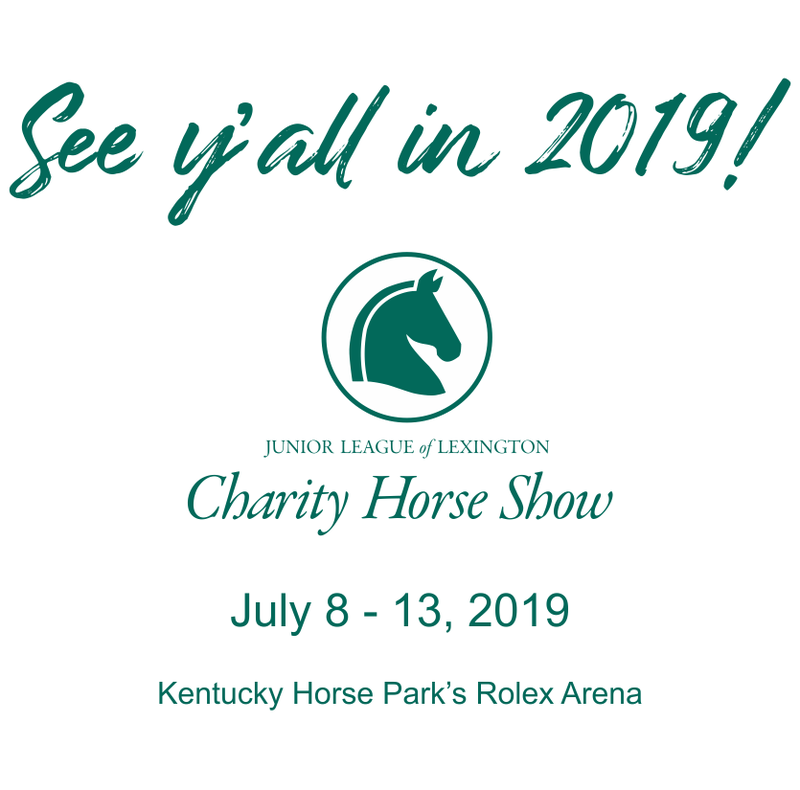 Created in 1937, to help fund the Junior League's community works project, the horse show has grown to be the world's largest outdoor American Saddlebred show and the first leg of the Saddlebred "Triple Crown". 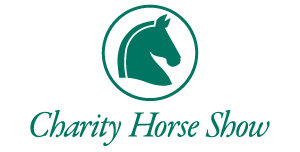 Today, the show attracts approximatley 1,000 world recognized competitors from the U.S. and Canada, has raised over four million dollars for charitable and civic organizations in Central Kentucky and generates over 5 million dollars revenue for local merchants each summer. The Lexington Jr. League Charity Horse Show has truly made a tremendous impact in Saddlebred industry; as well as, in our local community. We are proud to be the UPHA Show of the Year Winner for 2018. 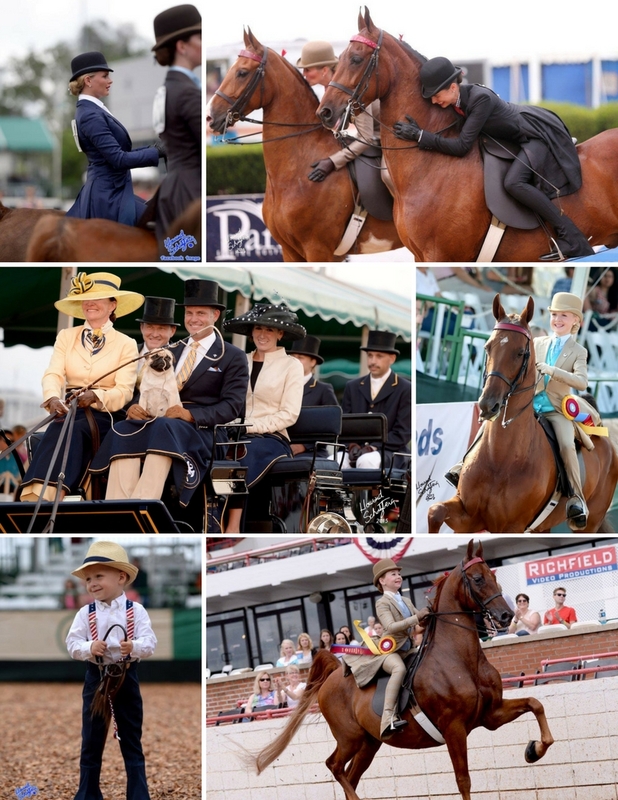 We encourage everyone to come out with family and friends and experience some of the finest American Saddlebreds compete at Kentucky Horse Park’s Rolex Arena, July 8th - 13th, 2019! General admission tickets may be purchased at the door for $5 Monday through Thursday, and $10 Friday & Saturday. Children under six are admitted free. Morning Sessions are free to the public. Proceeds benefit local and regional charitable organizations sponsored by the Junior League of Lexington.